The Turbokat engages in its relentless pursuit of Dark Kat's jet, firing relentlessly at him, peppering his aircraft with laser fire. Come here, Dark Kat, and take what's coming to you! In due time, SWAT Kats! I've realized my own death is an inevitability, but if I can't have Megakat City, then no one can! He swoops off in the direction of the city. I think so! We've gotta stop 'im! Come on! The Stalkers continue pummelling the outnumbered Army jets until there are only a couple left, but then the Enforcer reinforcements arrive and begin blasting the enemy fighters out of the sky, protecting their regular Army rivals turned comrades in arms. Noticing their Commander and his niece on the ground, two of the jets, flown by, we see, Gavin and O'Herlihy, break away from the main attack group and land. They surrender their craft to the two officers without a second thought. Feral gets into one and Felina the other, and they take off to join in the fighting. Gavin and O'Herlihy, left behind, take an unresisting and frankly relieved-looking Zeckis into custody. The three of them watch the battle unfolding in the skies above them. The Stalkers, lacking self-preservation, continue fighting despite now being clearly outnumbered. Explosions and flying chunks of metal fill the air. The hissing and snarling creatures are brave, reckless and stupid in their efforts to win. By the time there's only four of them left, one performs a suicide maneuver, diving down and deliberately crashing its aicraft into an Enforcer's. Both jets explode. Another Stalker targets one of the few remaining Army fighters and fires a missile, but a brave and selfless Enforcer flies between the oncoming missile, and allows himself to take the hit to save the other jet. The Army pilot looks shocked and horrified, as does Felina, who witnessed this. She glowers, swoops down and targets the Stalker who killed her fellow Enforcer, firing a missile directly into its jet's exhaust port. Boom! Fiery debris rains down onto the clearing. Look out, Lieutenant, above you...! She turns and sees the third jet diving down, attempting to crash into her, guns blazing, until a missile comes flying in from offscreen and blows it up. It's the Army pilot who was saved a moment ago. He and Felina wave to one another from their respective cockpits. Elsewhere, Feral and two other jets pursue and fire upon the final Stalker craft. Try as it might, the creature cannot evade them, and takes a hit in its wing, and goes spinning out of control, crashlanding on the ground near where Gavin and O'Herlihy stand, each holding Zeckis by one arm. The creature, having survived the crash, opens the cockput and leaps out, snarling. It leaps onto O'Herlihy, knocking him flat. Nearby, the others back up. Snarling, the Stalker gets off of O'Herlihy, who is still alive, and rushes at the other two. Gavin shoves Zeckis away and draws his blaster, as the creature reaches him and swipes at his face. Although his helmet protects him, the claws crack the visor and send the helmet flying, letting us see Gavin's surprised and terrified eyes. His gun is knocked form his hand, and he is seized by the front of his uniform and lifted up, then thrown down. He is about to be killed when Zeckis grabs the dropped laser gun and lifts it with shaking hands, and fires over and over into the unprepared Stalker's body. It shrieks and collapses. O'Herlihy, growning, gets up, draws his sidearm, and finishes the creature off. He then gently takes Gavin's gun from the shaking Zeckis' hands. I'll, uh, I'll take that, thanks. He helps Gavin to his feet. Observing from their jets as they fly by, Felina and her uncle can see that the last of the Stalkers has been killed now. That's the last of them, Uncle. Then that just leaves Dark Kat. And he's heading for Megakat City again! Let's go get him. I'm not talking about that. I'm talking about helping the SWAT Kats. They may need backup. All surviving fighters! Regroup and follow us! The jets, including the two sole remaining Army ones, turn and head off in the direction the SWAT Kats chased Dark Kat. There's a beeping sound. The Sergeant, standing over the Army techician manning the comunications console, summons Callie over. One surviving jet, flown by Dark Kat, is making a beeline for Megakat City. The Army lieutenant, also over by the console, looks suddenly horrified. But he wouldn't, that's just monstrous! You don't know Dark Kat. What do we do? We can't possibly evacuate everyone! We pray. And hope against hope that the SWAT Kats can get to him before he fires. Next time: the conclusion (to this battle anyway)! Citizens mill around. It's a kind of controlled pandamonium. People fill the streets, several of them on top of the Army vehicles. The Enforcers and Army troops have long since given up attempting to control them. Everyone is apprehensive and scared. But there's no fighting and no arguing. A sense of togetherness, if only an uneasy kind of togetherness, can be sensed. We see Ann Gora and Jonny covering the disaster. Suddenly the doors are flung wide and General Boggs exits followed by Captain Pomeroy and the Army personnel who were made to leave earlier. The General, scowling, shoves past several of the people, clearly upset, his entoruage attempting to follow but getting swallowed up by the crowd. Ann spots him and rushes over. Corporal, get these people away from the vehicles, I want order here! As a lark, someone knocks his hat off. General, can you tell us what's going on? Anyway, General, you were saying? Suddenly he sees something. Everyone turns and gasps as Dark Kat's lone fighter jet swoops overhead, pursued by the Turbokat. The thunderous roar makes several people cover their ears. Several, including Boggs, throw themselves reflexively to the ground, ducking and covering. When the vehicles have passed, they all get up, relaxing a little. Captain Pomeroy shoves through the crowd with a walkie-talkie. General! General! I just got word from our man in communications! Ann stands beside Boggs as Jonny films over the General's shoulder. Pomeroy looks uneasily at the camera, then back to his C.O. They're saying Dark Kat's planning some kind of final strike against the city. Possibly something highly tactical. Localized but incredibly destructive. And where are they supposing this from? They turn and watch the dogfight. The SWAT Kats pursue Dark Kat relentlessly. One way or another, it's endin' where it all began! You, us and Megakat City, Dark Kat! Try this on for size, then, SWAT Kats! He fires a missile which hits and blows an enormous hole through the side of City Hall. The building collapses in on itself, the upper floors crashing violently through the lower ones. The sound of the clock's bells jangling and gonging as the clocktower smashes into the street below can be heard for miles. Callie is aghast. Someone begins crying. Are there any shelters here? Give me the history lesson later! Start evacuating people into them! Because I think this place is his next target! And unlike City Hall, it's filled with people! The Sergeant scowls and turns to one of the Enforcer technicians. Signal an evacuation alarm, get everyone to the shelter. Scramble any available choppers for defense. A few essential personnel will stay here, including me. He sighs, realizes he can't convince her, and grabs the Army technician, yanking him out of his seat, turning to the Army lieutenant. The shelters are in the sub-basement. Get everyone in there. A technician hits an alarm. Everyone except Callie and the Sergeant runs out. Callie goes and stands beside the Sergeant as he sits at the communications console and dons the headset. Pomeroy frowns, watching City Hall falling to a decidedly conventional explosion. No, no, no! This is just that psycho warming up! And this place is probably next! An alarm sounds, blaring wildly. People begin panicking. What do you plan to do, General? Captain, let's take charge of this situation! He turns, meaning to go back inside and retake the control room. Not that, you fool! Here! We need to get these people to safety! Have the men begin assisting the Enforcers in getting everyone into any kind of shelter they can! Per his instructions they begin herding people into any available buildings, getting the streets cleared. Dark Kat's jet turns around and flies back towards them, gaining rapidly. But what say we deprive him of the pleasure a second time! Hold up, SWAT Kats! Wait for us! It's not what you think! My Enforcers and I are going to distract Dark Kat for you! Mostly everyone has been gotten off of the streets now. Boggs, seeing his hat, frowns as he sees one lone LITTLE BOY cowering by a parked car. Running over, he grabs the boy's wrist and jerks him away, and the two run and seek shelter in a building across the street. As Dark Kat prepares to target the Enforcer building, he's bombarded by the Enforcers, particularly Feral and Felina, and is forced to take evasive maneuvers by zipping around in-between buildings. He loses them. The villain's jet comes shooting out further down the street with no enemy jets on him, and grins evilly as he targets Enforcer Headquarters. He launches his missile. Suddenly, another missile comes in from his right and blows it up before it makes contact. Both missiles explode harmlessly in midair. Nice try, Dark Kat! But whatever you fire, we can shoot down! Then I'll just have to fire something that will spell doom for you all even if you do manage to hit it! He jerks a lever. The bomb bay of his jet opens, revealing a warhead similar to his old Doomsday Device. Observing from their vantage point flying alongside and slightly behind him, the SWAT Kats gasp. Leave it to Dark Kat to never have any original ideas! What do we do, buddy? If we shoot him down, it blows up! If we don't, he fires it and it blows up! Either way he wins! He trails off uncertainly. T-Bone becomes impatient. It's gonna cost us the Turbokat. Aw, ergh... ehhh, fine, what's one jet compared to an entire city?! Tell me real quick, buddy, while we still got time! So much for that drink, I guess. Last edited by Kooshmeister on Mon Feb 08, 2016 1:21 am, edited 1 time in total. Dark Kat begins to circle around to dump his payload. Goodbye, Megakat City! Goodbye and good riddance! As he prepares to fire, his clawed fingertip hovering over the button, the Turbokat comes up rapidly behind him. He notices them but seems unconcerned. Suddenly from the Turbokat's undercarriage the cement machine gun lowers and fires a rapid volley of cement slugs which effectively glue the bomb in place. Dark Kat growls and points his control panel in frustration. Foolish SWAT Kats! I'll still destroy your precious Megakat City! What is my life if it means wiping those smug smiles I just know are plastered all over your faces? Razor's voice filters through his radio. I figured on exactly that, Dark Creep! Dark Kat looks confused, when suddenly a shadow descends over his jet. He glances up, blinking, to see the Turbokat above him as the cement machine gun retracts. He fires his throttle forward trying to outdistance them but T-Bone matches his speed, keeping pace with him. Two panels on either side of the Turbokat's bomb bay open, and down drop the mega-manacles which grab hold of the wings of Dark Kat's jet, seizing it. Dark Kat growls in frustration and wrenches his steering stick back and forth but he can't shake himself free. His eyes narrow. His finger moves over the button once again, apparently still intent on detonating the bomb. In the Turbokat, the SWAT Kats pop the canopy. They fly out sitting in their Ejektor seats, zipping away. I sure hope you know what you're doin', Razor! if you're wrong, we'll lose the Turbokat and Megakat City! T-Bone nods and presses some buttons on his Glovatrix. The canopy on the Turbokat slides shut, and it goes into Speed of Heat mode. The protective metal shield covers the cockpit and then the four extra engines pop into view. The bottom two fail to lower entirely into place due to Dark Kat's jet being in the way. Hearing the "clunk" of them hitting his fuselage, Dark Kat turns and blinks. Relax, T-Bone, the top two should be enough! Now punch! T-Bone presses another button and the Turbokat, clutching Dark Kat's jet in the mega-menacles, rockets up into the stratosphere! Dark Kat, still poised to fire, is flung back into his seat cushion by the g-forces. He yells. Hovering there in their Ejektors, the SWAT Kats watch the two aircraft shoot off into the clouds, higher and higher. Hold they do. For now. As the two jets soar higher and higher, they begin to weaken, but as the aircraft approach outer space, it seems as though they won't give out just yet. Dark Kat's attempt to eject is stymied when his canopy won't open all the way; it just thunks uselessly against the undercarriage of the Turbokat. He's trapped. Dark Kat grits his teeth and strains against the gs to inch his finger forward to press the button to detonate his bomb before its too late. Finally, just as the two jets hit space, the struts connecting the manacles to the Turbokat snap off, and the two vehicles separate. The Turbokat goes spinning off into oblivion, while Dark Kat's finger finally hits the button. There's a pause. Suddenly his jet explodes in a massive ringed fireball which also consumes and obliterates the pilotless Turbokat. Several miles below, the SWAT Kats shield their eyes as the daytime sky becomes several hundred times brighter. Yeah, that. Isn't that gonna be a problem...? No, I don't think so. The bomb exploded in outer space, not in the atmosphere. Why, we go greet our adoring public, of course! The two Ejektor seats swoop down and come in for a landing, their parachutes deploying. Everyone begins coming out of hiding - the citizens, the Enforcers, the Army - and as the two Ejektors touch down on the asphalt in the middle of the street, the two SWAT Kats find themselves surrounded by a cheering crowd, which even includes a few Enforcer commandos and Army soldiers. The SWAT Kats unbuckle themselves, removing their flight helmets and standing with heads held high. Ann Gora pushes through to shove her microphone towards them. SWAT Kats, how does it feel to finally have destroyed your greatest enemy? I wish there'd been some other way, Ann, but the safety of Megakat City came first. Dark Kat left us no choice. Well, this crowd certainly seems excited! It seems you have a lot of fans! Yeah, talk about a warm welcome! Yeah, but it's about to get pretty cold. Look. He points. General Boggs approaches them. Ann Gora considers interviewing him, but one chilly gaze from the old officer makes her think better and back away. Jonny films the entire exchange, however. General Boggs stands stiffly, arms straight at his sides. After a tense moment, he snaps his heels together and gives a prim salute to the pair. T-Bone and Razor look at one another. My congratulations, SWAT Kats. I don't agree with what you do, but the way you handled Dark Kat and saved the city has earned you my... grudging admiration. Jeez, take a compliment, why don't you. Boggs finally lowers his hand from the salute, turns stiffly and heads off. One by one his men begin to disperse and follow him. Gradually, the Army presence departs. The soldiers pile into the troop truck and staff car and drive off. The Enforcer jet containing Commander Feral flies overhead, doubles back and lands, using the street as a runway. The one flown by Felina soon joins it. Their canopies pop open and the two Feral climb out and hop down. Seeing the crowd gathered around the SWAT Kats, Feral makes a beeline for them. General Boggs, flanked by his subordinate officers, meets him halfway. Commander, forget what I said before. I won't be pressing any charges against you. I should, but I won't. He jerks a thumb back at the vigilantes. From what I heard, you might be stuck with those two a little longer. If I were you, I'd consider myself fortunate. They're quite skilled at what they do. I thought you called them vigilante scum. Enforcer washouts. They still are. Just ones that've impressed me greatly. Lieutenant, good to see you safe and sound. The Army officers go and get into the helicopter. Feral and Felina watch its rotors start up, and a moment later it lifts into the sky and flies away. Then, turning, Commander Feral marches purposefully towards the crowd of admirers encircling his longtime rivals. His niece hurries after after him, looking concerned. Don't worry, Felina. Remember what I said about Briggs' proposal. Felina nods, and she and her uncle continue towards the crowd who part for them. Ann shoves her microphone in his face. Ann pouts but doesn't press her luck. Well, looks like it's time to pay the piper. Yeah, yeah, I remember. So, Commander, what's it gonna be? What's this big idea of Callie's? Feral simply turns and gestures to the steps leading up to the Enforcer Headquarters entrance, where Callie Briggs stands with her arms folded behind her back, flanked by D.A. Mills. Maybe she can explain it herself. I admire your tact, Commander. You and I have some things to discuss inside as well. We all do. Last edited by Kooshmeister on Mon Feb 08, 2016 1:14 am, edited 3 times in total. I enjoyed how you used a lot of pre-established / canon concepts, tools and scenarios and put a new twist on them to create the action climax - a very clever (if desperate and dangerous) use of two of the Turbokat's more unorthodox addons to thwart Dark Kat's attack. Thanks, heh; I had to fix a few things to reflect earlier dialogue about the deal Callie mentioned, as well as resolve the Feral/Boggs conflict. I hope to have this monster wrapped up soon. Feral sits at his desk, hands folded before him, glowering. Beside him is Felina, her helmet tucked under her arm. Occupying the visitor's chairs are Callie Briggs and the District Attorney. Behind them, T-Bone and Razor, unmasked but still in their SWAT Kat flight suits, effectively making them Chance Furlong and Jake Clawson once again, stand being guarded by two armed commandos. So, how are we going to handle this, Briggs? Well, District Attorney Mills and I were talking and we've reached an agreement that we think will make everyone happy. Feral raises an eyebrow. Chance and Jake exchange glances. One that means no jail time, right...? Callie and Mills turn in their seats and look back at them. Well, what is it? Come on, you guys, spill it! Quit keepin' us in suspense! ...come back to work for the Enforcers. Feral is out of his chair so fast it tips over and falls. Smiling, Callie gets up, smoothing out her dress. Relax, all of you, and let me explain. The SWAT Kats can't be everywhere at once. And the Enforcers could benefit from having their new recruits trained in your methods, armed with your weaponry and vehicles. Chance and Jake blink and look uncertain. Feral frowns, stroking his chin. You mean... we'd train Enforcer pilots? Share our tech with them and show them how to use it? I, uh, I guess that sounds reasonable. But we want our own squadron! Feral stays. Whatever else you, or I, think of him, he's a good commander. You'll answer to him... but any decisions he makes concerning you will have to go through me. Agreed. But I want some sayso! And you'll get it, don't worry. So how 'bout it, you two? You join forces with the Enforcers. We all, all of us, work together, officially, to protect our city, as friends and allies. Not rivals and enemies. Chance and Jake mull this over. I want final word on weapon systems. At least in the jets Chance and I will be commanding. Callie looks at Commander Feral for confirmation. He nods after a moment. Forget that! Why not just build more Turbokats? Yeah! Imagine it! A whole squadron of Turbokats! Jake looks a little doubtful. Come on! It'll be radical! Feral palms his face. Felina gently strokes his shoulder. Callie just laughs. And one more thing! We want our debt against the city forgiven, and we want outta that dump and into some real places! Nothin' fancy, but somewhere that's actually livable! Uh, well, sure, why not...? Aghh! You two better know I'm only agreeing to any of this because you saved my niece! Actually, she saved herself. Just ask her. Feral looks at Felina, who just shrugs and smiles. The Commander smiles a little and nods, then the smile vanishes and he turns and glares at the SWAT Kats. No more masks. No more flagrant disregard for my authority! And I warn you, you two and your hypothetical "radical squadron" had better impress me! Sure, sure, we'll knock your socks off, Commander. Suddenly the phone rings. Feral answers it. A lone stretch of desert highway. Nothing but sand and cacti as far as the eye can see. Mayor Manx's white limousine sits on the side of the road, the hood up, smoke (or steam) visibly pouring out from underneath it. Manx sits in the back with all the doors open for air conditioning purposes, sweaty and disheveled, his toupee askew, speaking into his car phone. My limousine broke down. Can, um... can someone come get me...? We hear an audible click. We fade out to black. Slowly fade back to a shot of the crashed Fear Ship being dismantled under the supervision of the Enforcers. A subtitle appears: "THREE MONTHS LATER." Chance and Jake get off the elevator. They're wearing finely tailored gray uniforms with red trim on the collars and shoulders. 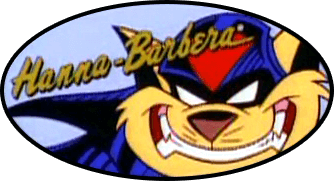 Although they bear the emblem of the Enforcers on either bicep, their collars sport the SWAT Kats logo of a blue kat head with red trim. Both bear lieutenant's insignia. As they proceed down the hall, Chance frowns and pulls at his collar with a finger, clearly uncomfortable. I've changed my mind, let's go back to being vigilantes. Prison is better than these stuffy suits! Relax, Chance. We're only going to be in these things for formal occasions. Doesn't mean I gotta like it. Agh, it's so itchy! It's Feral's revenge, I swear! Jake laughs and they approach a large set of double doors. They stand before them, hesitant. Jake sighs, turns, and adjusts Chance's tie, which is crooked. Well, time to go in there and knock 'em dead. Yeah. Hey, Jake, can I ask you somethin'? Did we, y'know... when we became the SWAT Kats, did we do the right thing for the wrong reasons, or the wrong thing for the right reasons? So, uh, you think we got a lot of volunteers? He turns and throws open the doors. Chance and Jake enter a large auditorium rather like a classroom at a university: rows upon rows of seats ascending upwards towards the back, arranged in a semicircular pattern around a large floor with a desk, a briefing table, and numerous charts, diagrams and other miscellaneous odds and ends. The most prominent thing in the room besides the seats is a large viewscreen, currently turned off. On the table there are an overhead projector, also turned off, and a scale model of the Turbokat with the Enforcer logo on it. As Chance and Jake enter, numerous CADETS, seated, get to their feet, the sound of scuffling shoes filling the vast room. Chance and Jake stare at them as they stand rigidly at attention. They're of ages ranging from late teens to early twenties to thirties and even a few in their mid to late forties. There are men as well as women. They're all dressed in uniforms like Chance's and Jake's, but without officer's insignia. Commander Feral stands to one side. Hi, Commander. So where'd you dig all these guys and gals up? Here and there. At Mayor Briggs' insistence, I sent out a bulletin regarding membership in the new squadron. I was surprised so many came from within the Enforcers. It seems you two have had fans right under my nose the entire time. Anyway, I'll leave this in your capable hands. He strides out, slamming the door. Chance and Jake turn to address their audience. First thing's first. You can stop standing so rigid and formal. That's fine for parades and stuff, but in this squadron, we like to have a... relaxed attitude. The cadets relax a little, some more reluctantly than others, and Jake motions for them to sit. For one reason or another, you all have applied to join the new Radical Squadron of the Enforcers. But it's important that you see this position not as a shot at stardom or some easy, fast track to promotion... but as the right thing to do. The best way to serve not only your fellow Enforcers, but Megakat City itself. He's cut off as an alarm sounds. The cadets look excited. Sorry, buddy, the rest of the speech is gonna have to wait. Now, we'd love to take your guys out with us for some of that on the job trainin' he mentioned, but that'll come later. Now, now, no grumlin'! You'll get your chance. All of you. The rebuilt Turbokat is being prepped for flight by the runway crew. It is emblazoned with a red version of the Enforcer logo, gleaming brilliantly. The door to the runway opens and Chance and Jake come out dressed in their familiar blue and red flight suits, which sport the same red Enforcer logo as the jet. They're maskless. Felina Feral greets them, bringing them up to speed as they approach the jet, helmets tucked under their arms. An incident at a pizza parlor uptown. It's an old slithery friend of yours. Great. That should really impress your uncle. He and Chance plunk their helmets on and hop in. The canopy slides shut. Felina and the Enforcer crew step back as the engines fire up, the Turbokat shooting off down the runway and flying into the air. The sky is gently sliding into a reddish-hued evening. At a local pizza parlor, a GIANT PIZZA MONSTER is terrorizing several customers. The creature is an enormous slice of monstrous, living pizza with arms and legs. Its creator, DR. VIPER, is sitting at a patio dining table, a plate of anchovy pizza in front of him. As he eats the pizza and watches the monster wreck the place, he looks like someone in a movie theater. People run this way and that in an effort to escape. Three Enforcer choppers fly into view, hovering over the vicinity. A giant slice of pizza, I'd say! The monstrous food creature swats the chopper down. The pilots bail out before the crashed aircraft explodes. The remaining vehicles turn and veer away. Viper laughs. The pizza monster grabs the down copter and begins eating it hungrily. He takes another bite and then hears the roar of jet engines and turns in mid-chew, one cheek bulged out, to see the new Turbokat come flying in low. In the cockpit, Chance and Jake gape in shock at the creature. I guess this place isn't open for business! Well, what say we cancel Viper's order...? He locks in on the beast. He presses the firing mechanism, launching a missile, which sails towards the camera, filling it. An explosion fills the screen. Cut to black and roll credits. A bit rushed, but this is the basic idea I have for the ending, adapted roughly from a scene in Happy Birthday Dark Kat. So there you have it. Complete. Finally. After all this time. I hope you enjoyed it. 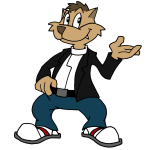 It's good to see that you've managed to complete this long-term project of yours which you've started more than 13 years ago , Kooshmeister (according to the first publishing date at the SWAT Kats Fan Fiction Archive). I hope it's okay to say that I'm glad that I didn't start reading it before winter 2015 (mostly because I had to rediscover SK for me first in 2014 and also because I didn't care much about fan fiction stories in general until I've finished writing one myself), as I probably would have lost my patience as this time period is way too long for me to remember important details of the story without rereading it each time when something new is added. I also have to admit that I ignore in-progress-works mostly, as it is uncertain if those are ever gonna be finished or have to be revised drastically at some point. I think there are a lot of SK-stories out there that will remain in-progress forever. So it's good to see that there is one less of them now. The pace how the story progresses is good and it contains enough excitement for me such that I kept on reading. The dialogues and actions are fitting the characters most of the time. The increased level of violence and mature talk at some occasions is something that I needed to get used to, but I was able to handle it. I've noticed a few logical issues (which Kooshmeister and I had discussed extensively in our PM correspondence). But hey! It's SWAT Kats, right? Not everything has to be perfectly logical. As it's the story's intention to provide a possible conclusion for The Radical Squadron it has a satisfying ending IMHO, having in mind that Kooshmeister started writing it at a time when there wasn't much hope that the show would ever be continued. Gosh! Even the DVDs weren't available back then! I wish you good luck with your other ongoing and future projects. Thanks a bunch for your comments, my friend. I'm glad you enjoyed the story. Now I just need to finish the regular story version, which is different. Not to mention my other scripts.